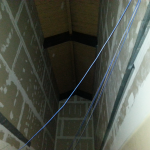 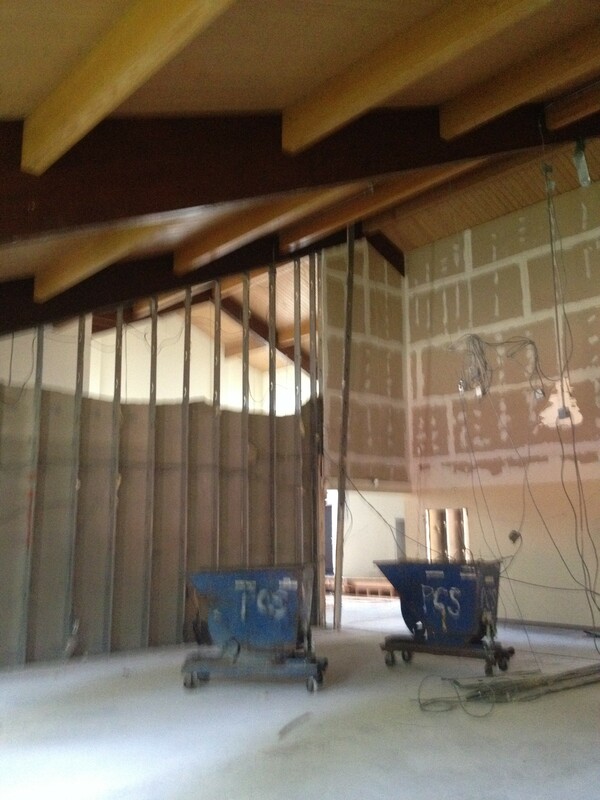 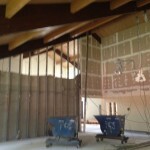 Soon to be ceiling of large meeting room. 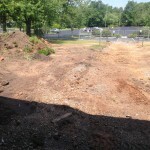 Look at all of that wasted space! 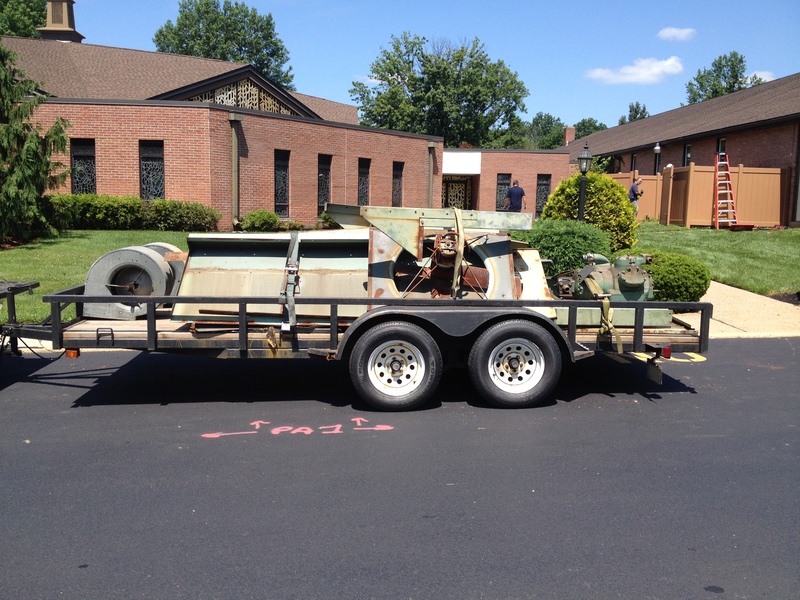 Original 1970 air conditioning unit! 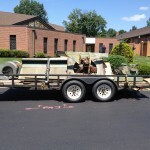 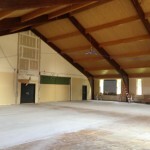 Demolition to prepare for the new parish center. 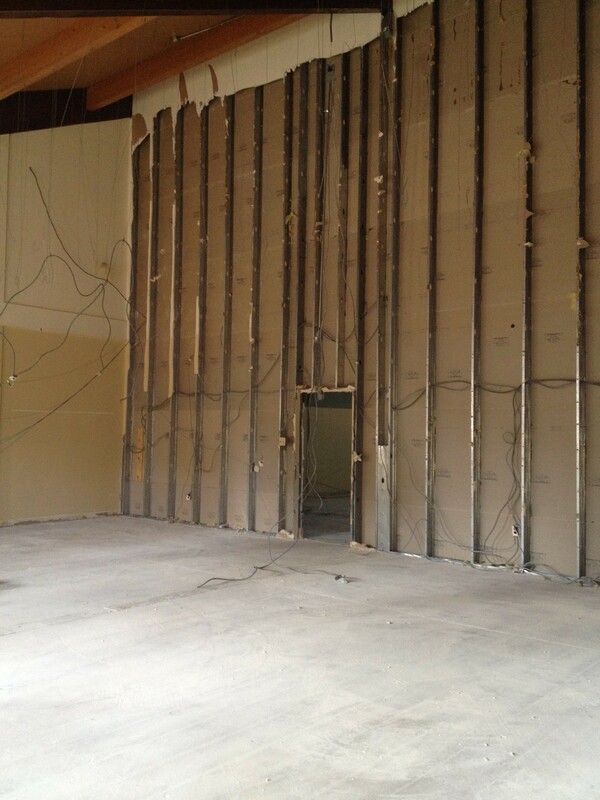 One of the back walls comes down. 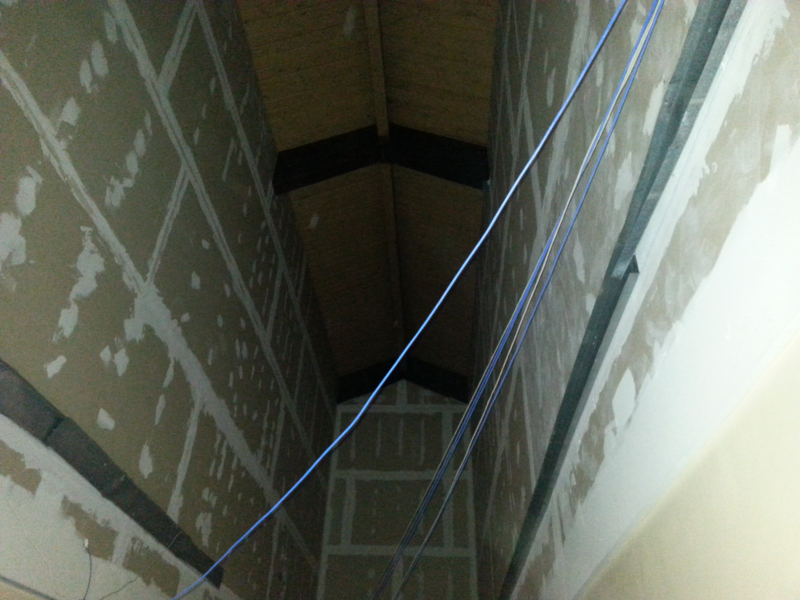 to open up the space. 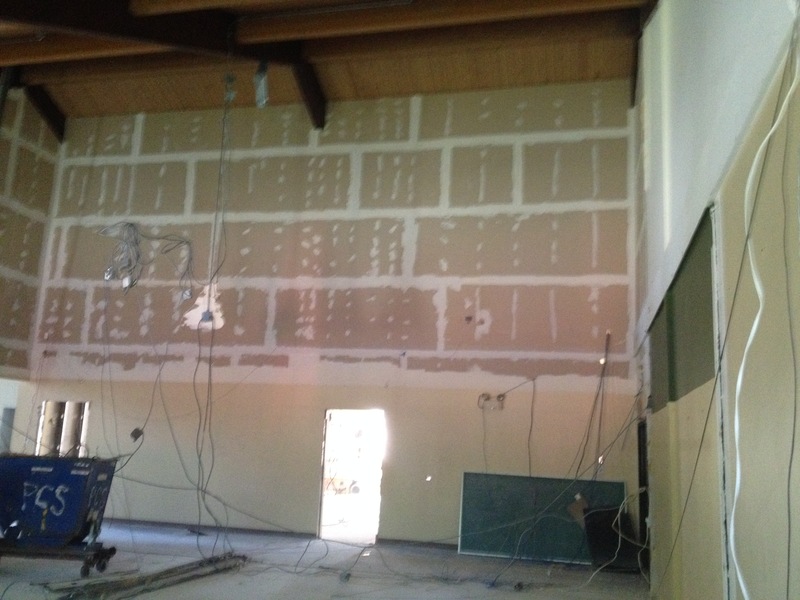 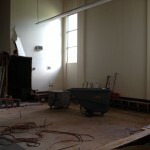 Old Altar space is removed. 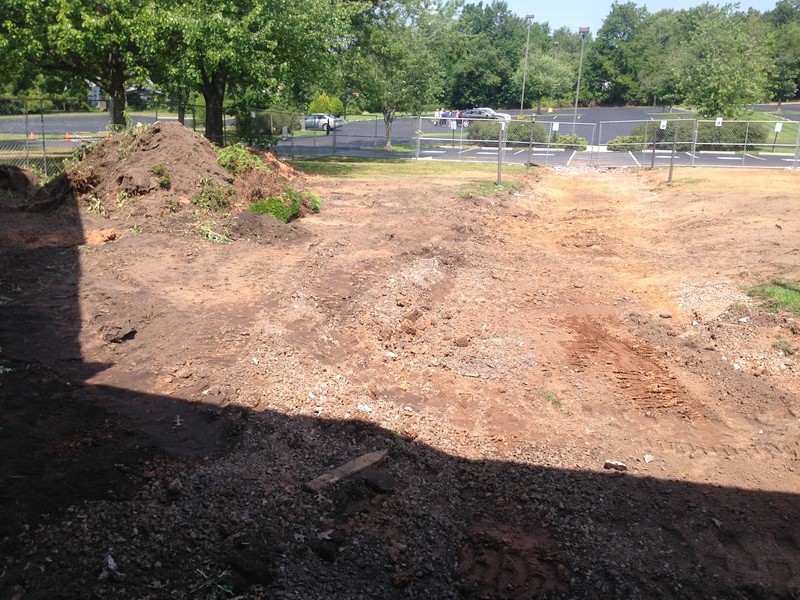 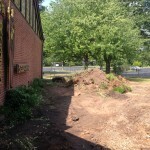 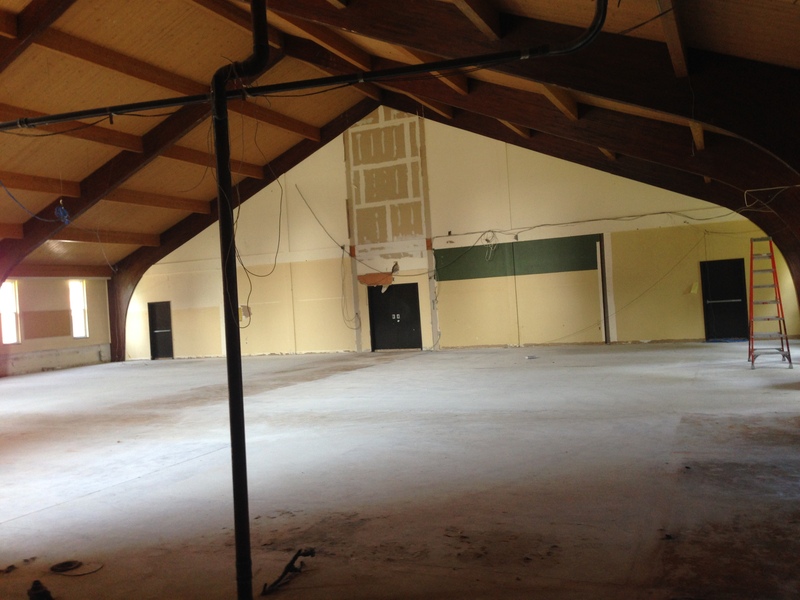 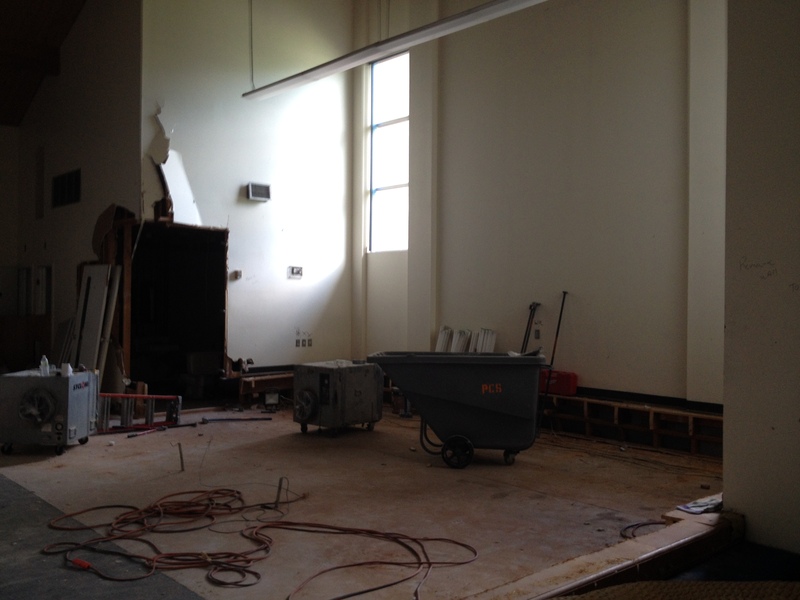 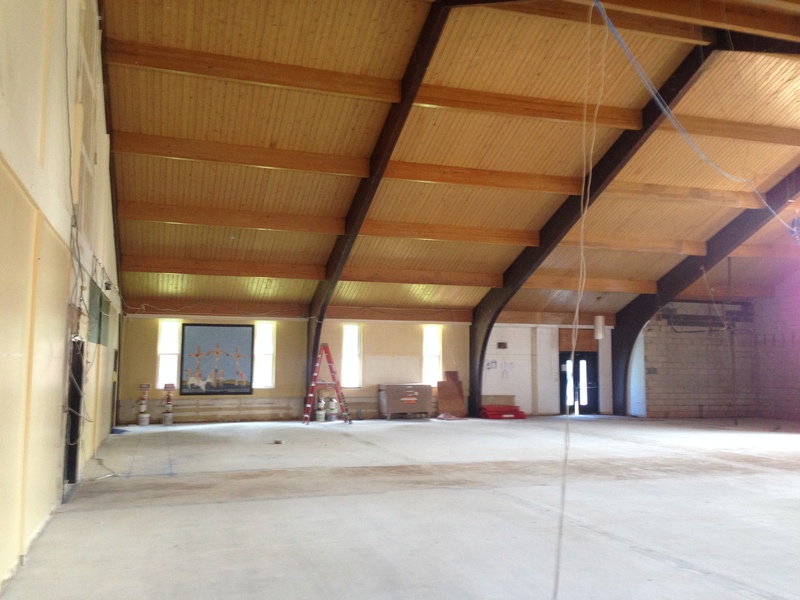 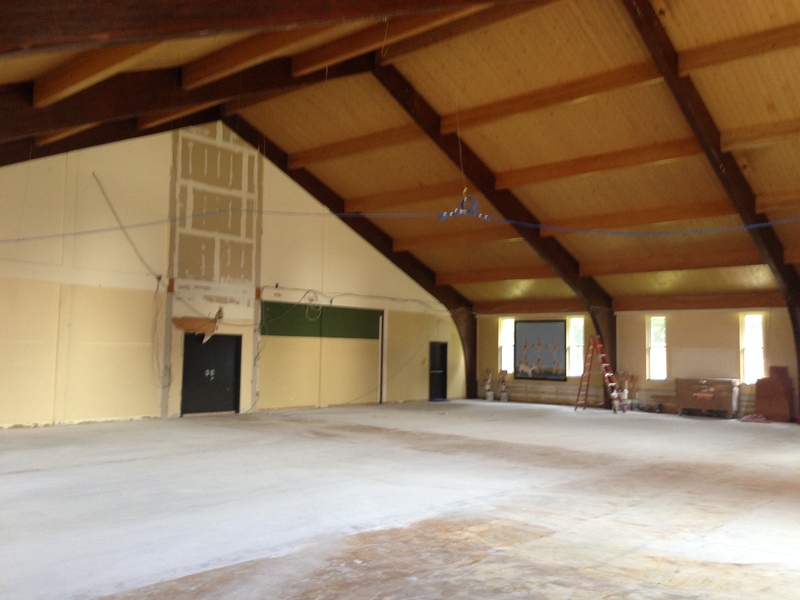 The main entrance walkway has been removed in preparation for the expanded Narthex. 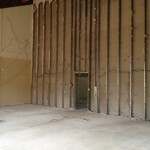 The walls are gone. 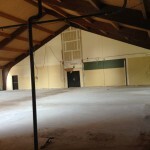 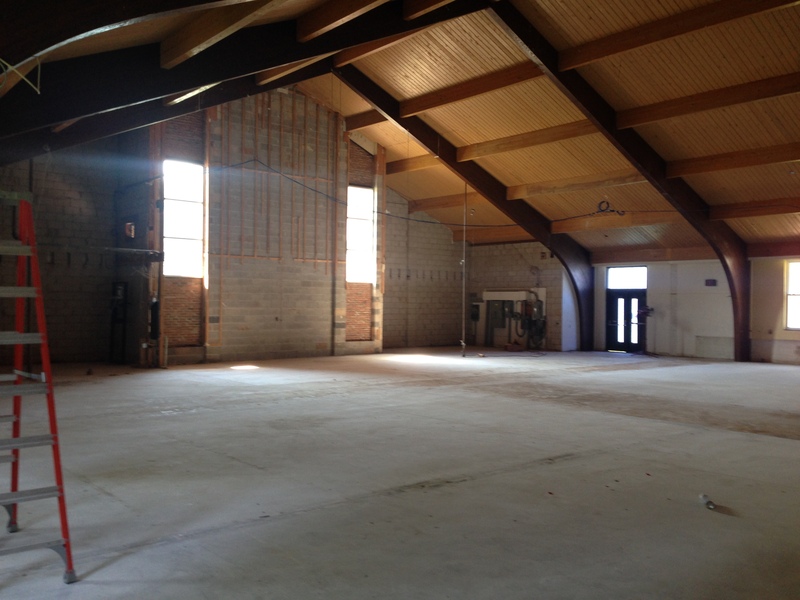 Notice the doors leading to the gym. 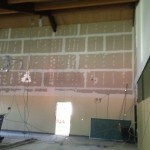 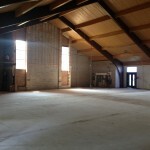 This is the front of the old church with the old altar space removed. 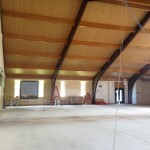 Can you image the height of the meeting room ceiling?